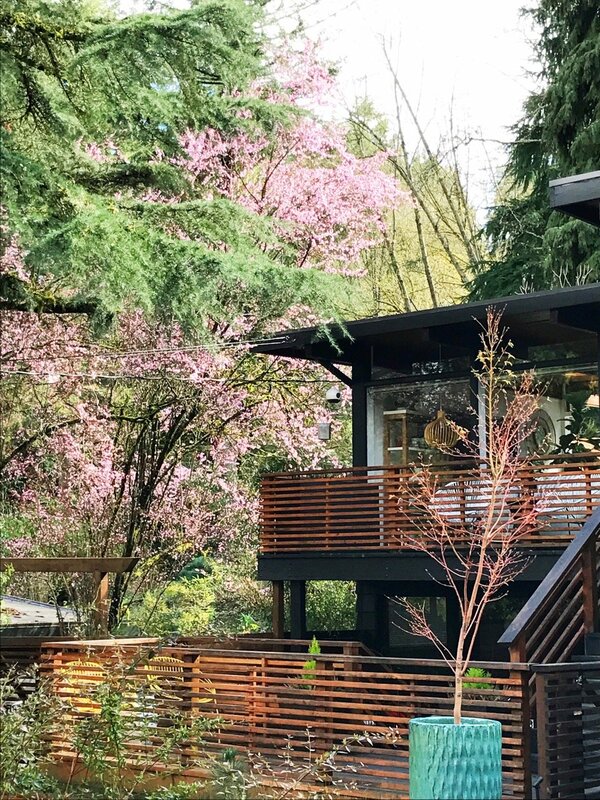 Buying this mid-century house designed by John Burrows has been a real journey from start to finish for Audrey and her husband. 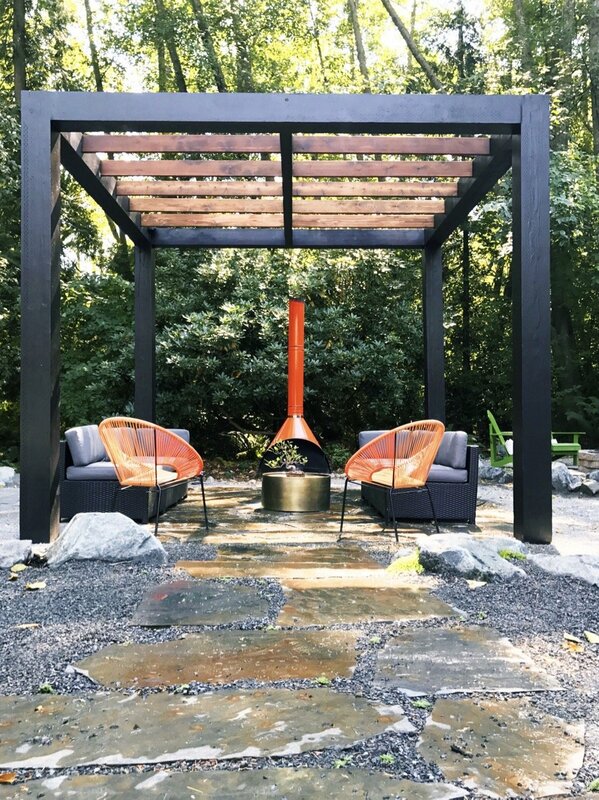 Following a relocation to Seattle, the couple found their dream home located a short distance from the city centre and surrounded by lush woodland. 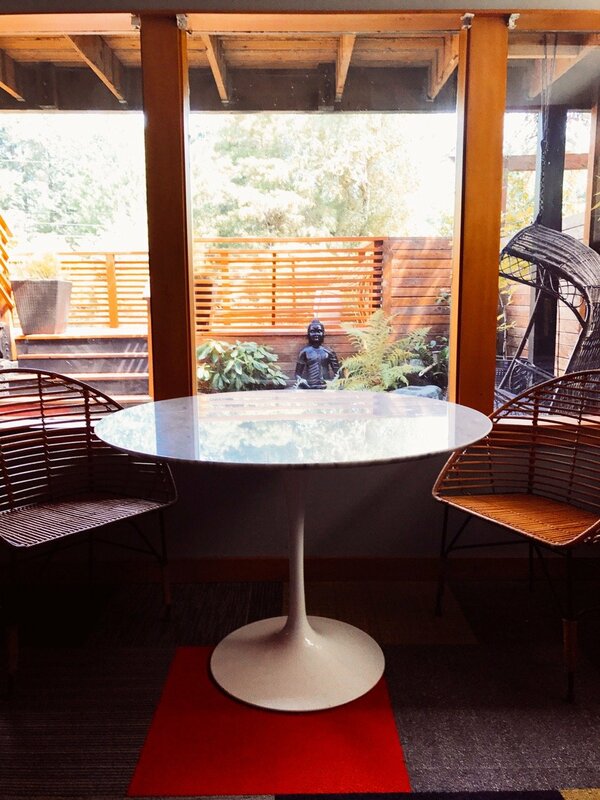 As proud owners of a Burrows mid-century house, it is the couple’s passion for Scandinavian design as well as Audrey’s background in Architecture which has helped to transform the house into its current condition today. 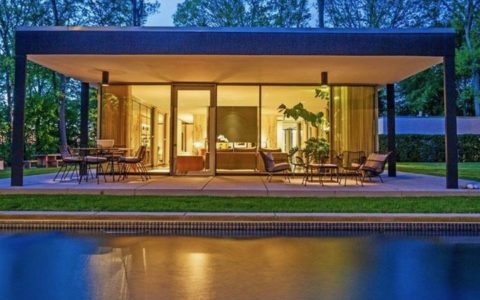 It just goes to show that the love and passion for mid-century architecture can definitely take you very far. First of all, could you tell us a little bit about your background? I have a Master’s Degree in Early Intervention, however I have a deep passion for Mid-century architecture and design. I’m currently a freelance writer and feel lucky I am able to write about design and architecture on a regular basis. Following on from that, what brought you to living in your house and what drew you to the mid-century style? 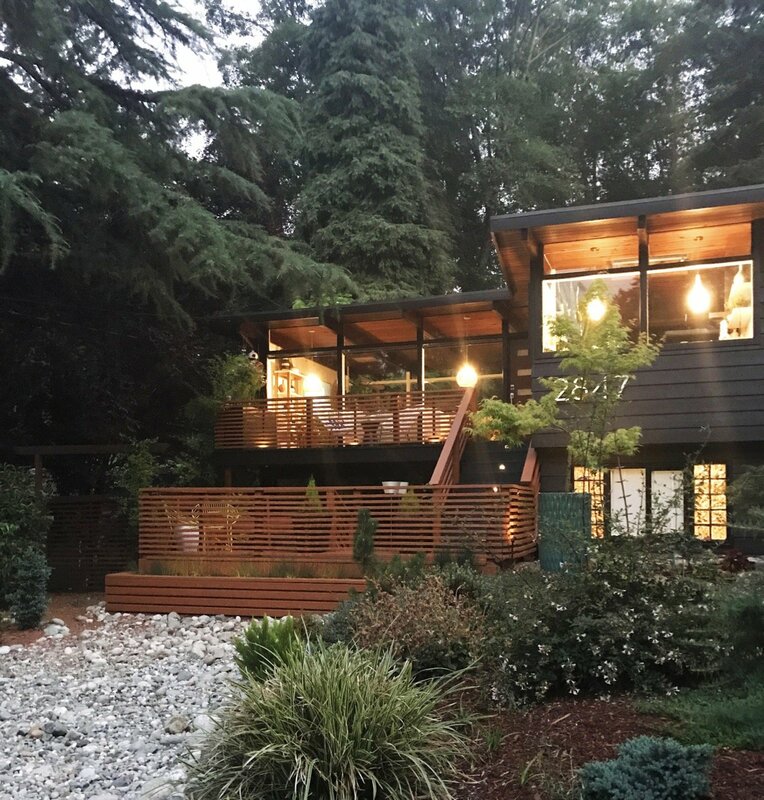 When we first moved to Seattle and started house hunting, we noticed so many beautiful Mid-Century homes, particularly John Burrows homes that were set within these natural wooded lots. We stumbled upon a John Burrows home that was not actively on the market but whose owners were looking to relocate. We immediately fell in love with our home that is surrounded by woodlands and a year round creek, as well as its interior that exemplifies Burrows’ signature post and beam ceilings and the large floor to ceiling windows that blur the lines between indoor and out. 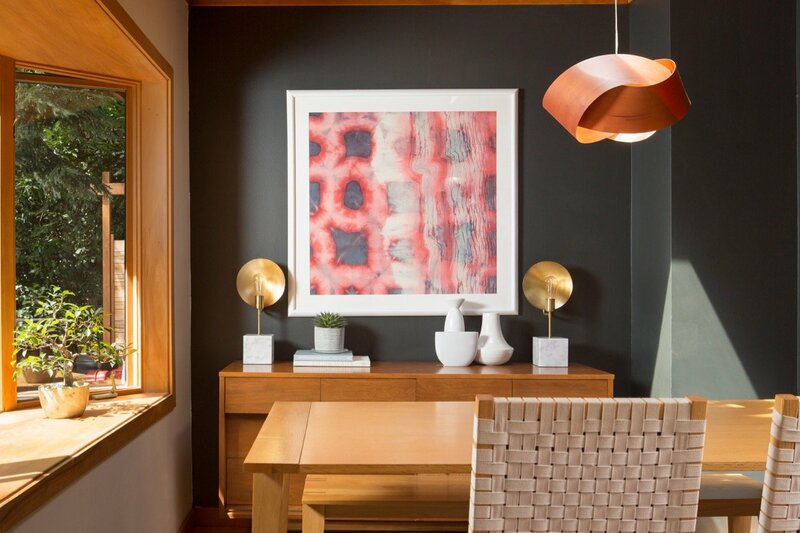 My husband and I feel at home with the simple and uncluttered feel of Japanese and Scandinavian design, hence we naturally gravitate towards Mid-century modern homes that are built using the same clean, linear lines. What do you think was special about this period in American design? The homes built during this design period were so well built, and not to mention thoughtfully built. 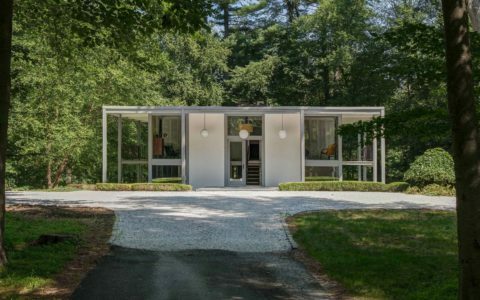 This era of American design was so remarkable because it was a time of innovation and a reflection of the International Style, which in the 1930s and 40s, introduced the beginning of modernist architecture to the suburbs of our country. The idea that modernism was brought to residential homes in the suburbs is exciting because it was such a change from the traditional architecture that encompassed those areas prior to the war. What did you know about Burrows, before moving in? When I first discovered Burrows during my home buying research, I immediately looked him up. We found out he relocated here from California and was influenced by the design styles of the modernist architects of the time. Burrows sought to build small, modern houses on difficult lots and I was drawn to that aspect. I wanted to live in a home where the thoughtfulness of the build took precedence over other aspects. 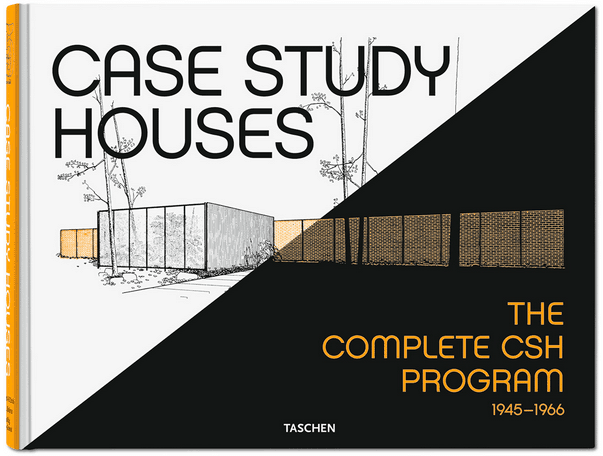 Do you feel a responsibility for living in a house designed by a famous architect? Absolutely. Though I am not entirely a purist, I wanted to preserve as many original details as possible. We have been thoughtful with our updates, in wanting to keep with Burrows’ original intentions. 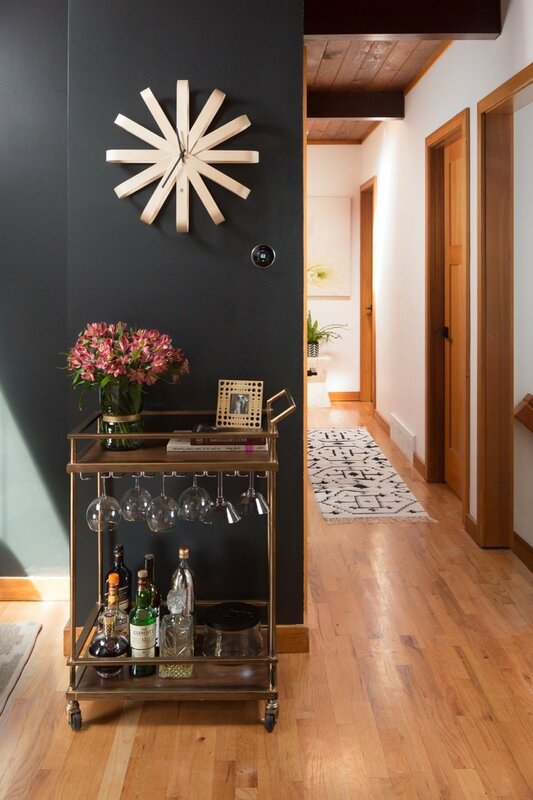 Have you had to renovate any part of the house, if so, what area? Our main interior renovation has been our kitchen. The previous owners had renovated the kitchen but we wanted the house, and especially the kitchen to feel personal to us. We sought to use modern materials while still keeping with the lines of the house. We purposely chose our cabinet finish to replicate the stain of the original cabinetry and chose linear lines in our design to replicate Burrows’ original design. We’ve also renovated our entire front and back yards, and changed the color of the house to a black that helps the house recede more into the woods that surround it. What are the advantages, and struggles, of living in an mid-century house? There are wonderful advantages of living in a mid-century house. 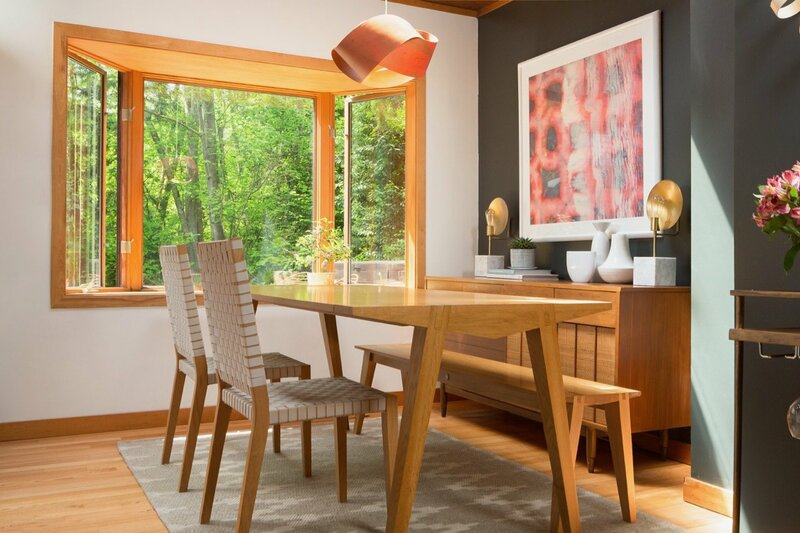 The quality of the materials and how solidly well built mid-century homes are is worth noting. Today, houses just aren’t designed with the same thoughtfulness as they were during the time period our home was built. We do struggle with storage, particularly our bedroom closet space. We have one tiny closet for the both of us. We have had to become creative with how we store our clothes. Though, I suppose the advantage of this is not having too much clutter because there is nowhere to store it! Do you feel constrained in your interior design choices because of the house heritage? I do feel limited with the scale of our furniture for sure. When we initially moved in, our previous furniture was too large for the space and clashed with the design details of the home. This led us on a wonderful adventure of learning about and purchasing mid-century furniture. We’ve also met some really great people along the way who have helped us learn about this period of furniture design. There is as wonderful community of Mid-century enthusiasts out there that we previously had no idea about! 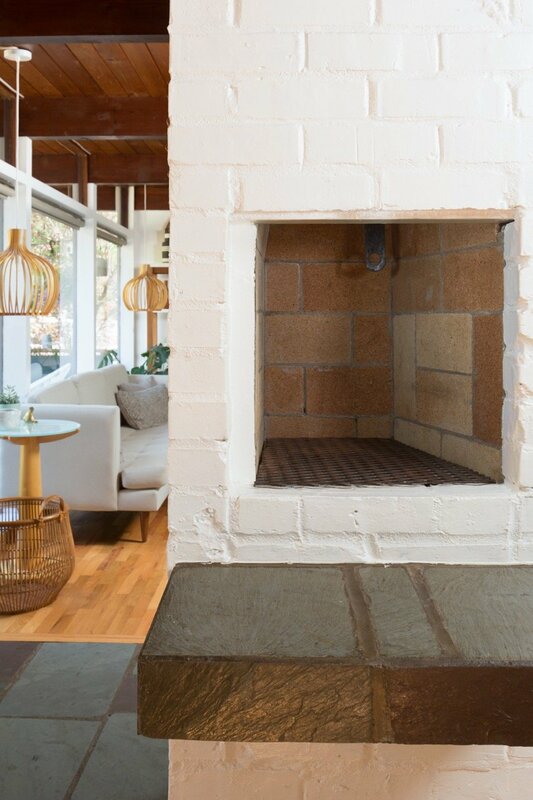 Last but not least, do you have any tip for people interested in buying a mid-century house today? What they should pay attention to and why? We were lucky that the previous owners took such wonderful care of this house. We are only our home’s third owners. 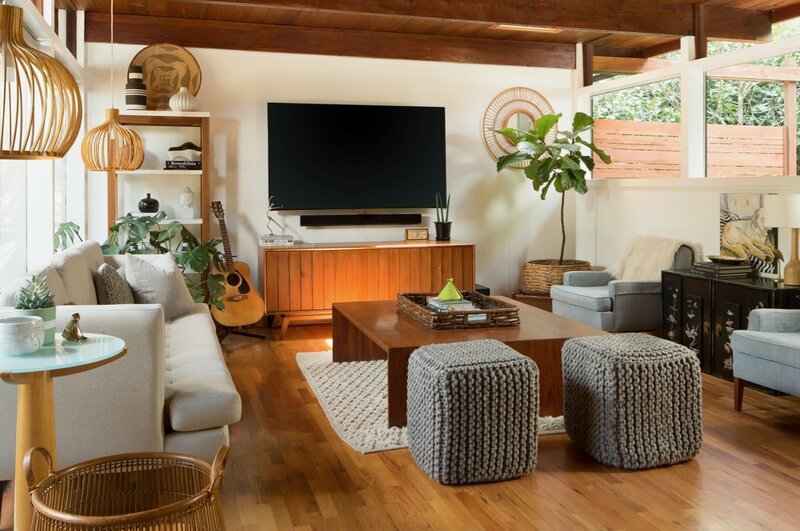 If I were currently looking to purchase a mid-century home now, I would definitely pay attention to any areas that may have been neglected over the years, the quality of any updates that were done, and the ownership history. 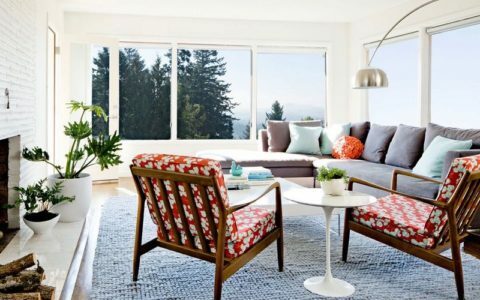 Mid-century homes tell a story and I’ve unfortunately seen many renovations and flips that have completely taken the character and charm out of the home.